Priced to sell! Beautiful 7/9 bedroom home on 19.56 acres. Mature almond trees that create income. Beautiful & private setting with so much potential. 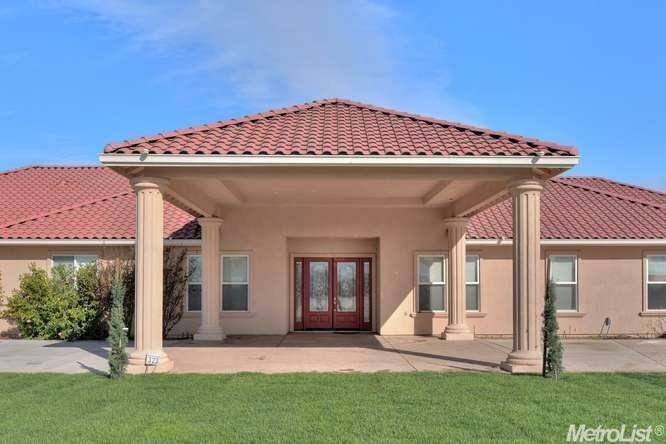 Amazing opportunity to own a large residence & almond orchard. Sprawling estate home w/ 7-9 bedrooms & 6 baths. Seperate office or guest suite. Perfect set up for extended family. Formal living & dining rooms, bonus room, family room w/cozy fireplace. Large kitchen w/cherry cabinets & center island. Perfect setting for family reunions!